These units are iron cored detuned filter reactors to be used at medium voltage power factor correction applications up to 12kV. 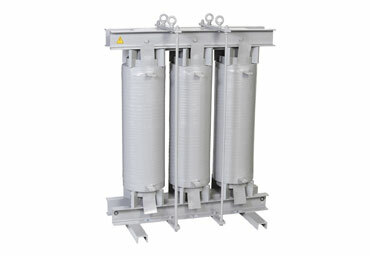 Detuned filters are power factor correction units with anti-resonance reactors connected in series with capacitor steps. The low impedance at 50 Hz and high impedance at common harmonic frequencies allows them to effectively protect the capacitor banks against the harmful effects of harmonics, while retaining the reactive power compensation function. Iron core medium voltage detuned reactors are mainly used at applications where space is limited. In some cases they may present a more economical solution than an air cored counterpart. These units are designed for indoor use only.